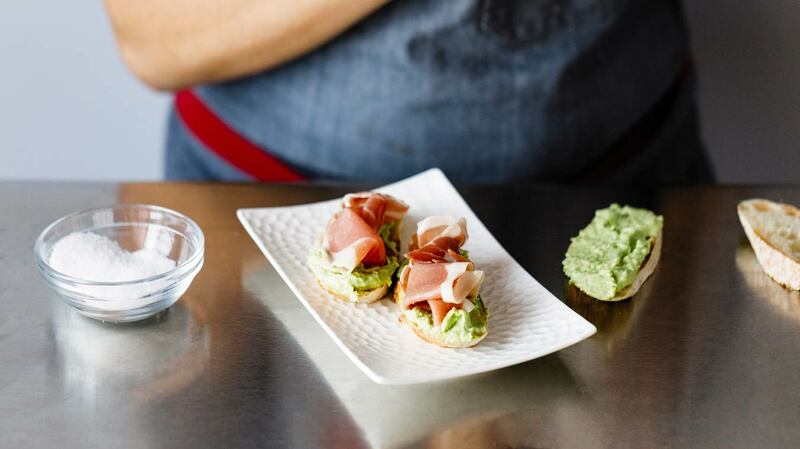 This fresh spread is a break from the traditional hummus, baba ghanoush, and pesto. 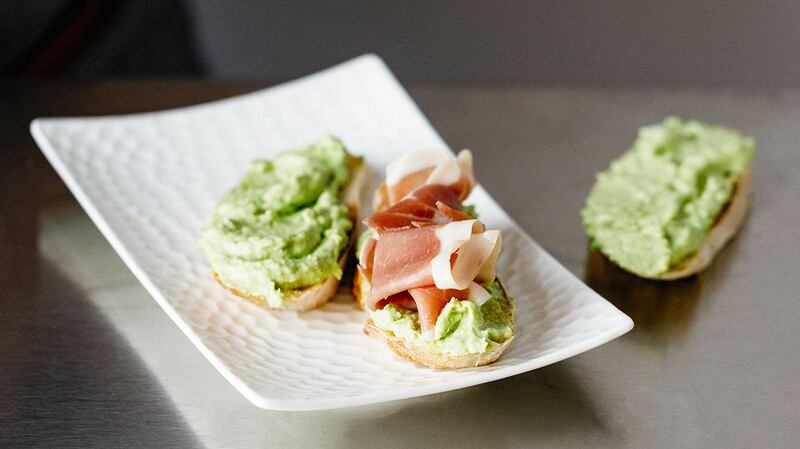 It is a great addition to a crudité platter or charcuterie board, mixed in a potato salad, makes a delicious sandwich spread, or smeared on a slice of grilled baguette with sautéed mushrooms on top (yum!). Moreover, Pea and Ricotta Spread makes a great filling in ravioli or lasagna. It is light, refreshing, and full of fresh flavor. 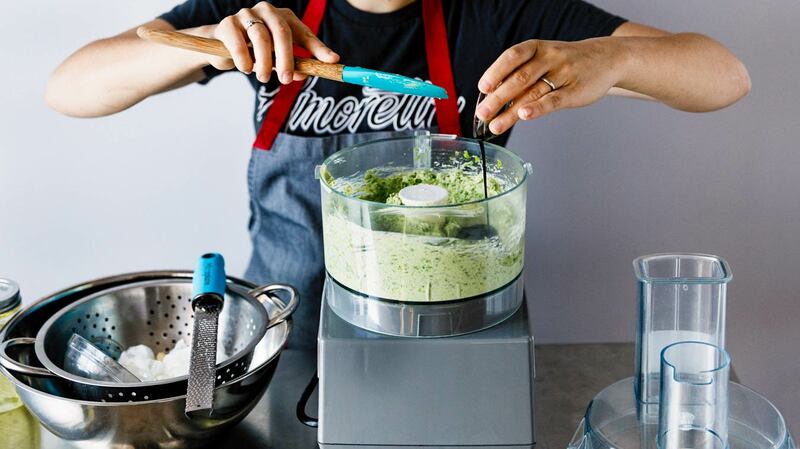 We like to use frozen peas, both for consistency of flavor each time we make it and the ability to make it all year long. Portioned leftovers freeze great for later use. 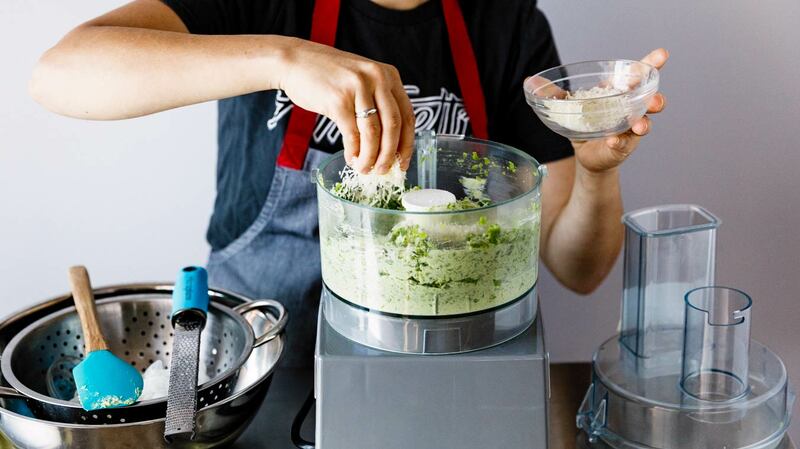 We'll start by gathering all our tools and ingredients: peas, fresh Ricotta, parmesan, garlic, Lemon Oil, Basil Oil Extract, and kosher salt. 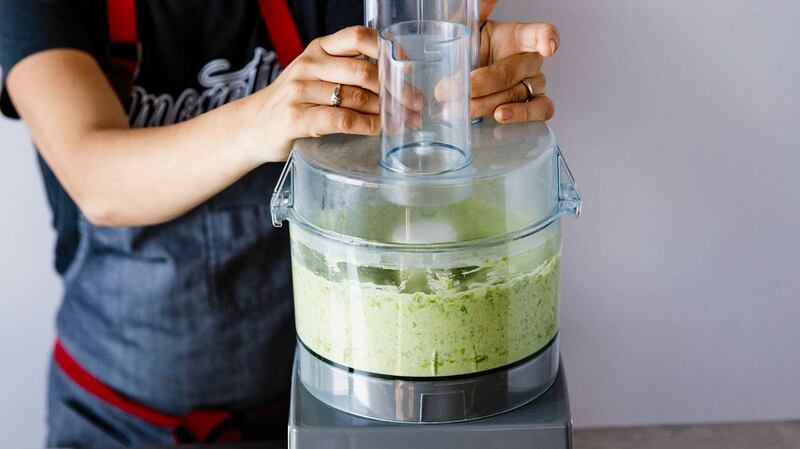 Plug in your food processor, it's blending time! 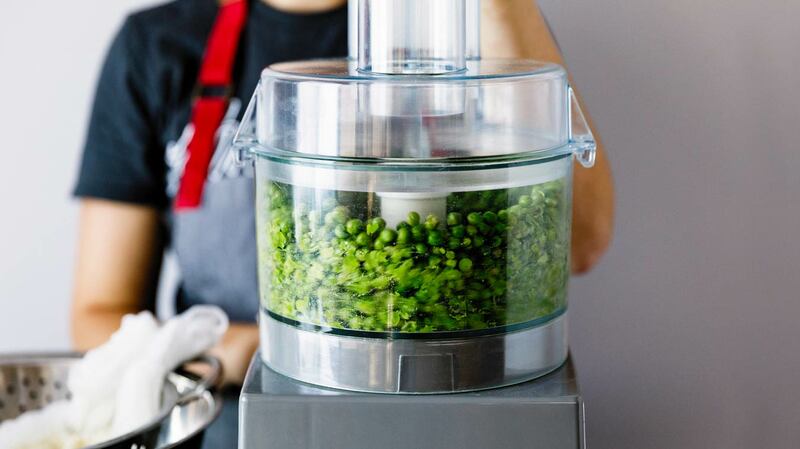 We'll blend thawed peas to a chunky paste, just to get the process started. Add ricotta and garlic next. See how bright our peas are, gorgeous! A quick blend and then it's cheese time! 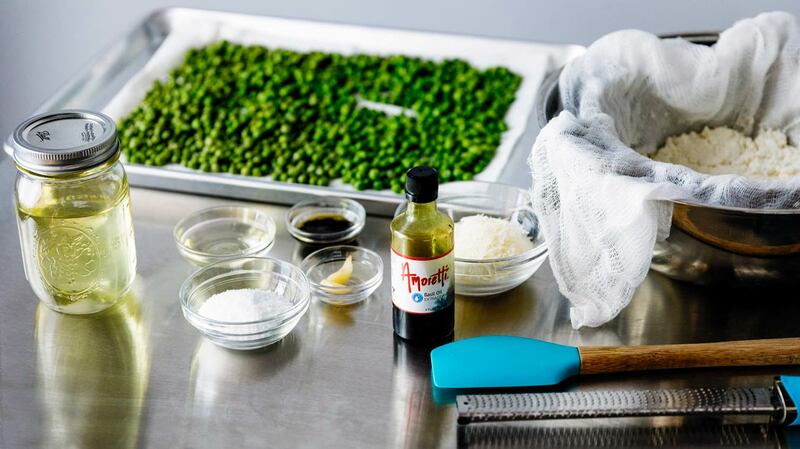 Freshly grated Parmesan adds great salty, savory flavor to balance the sweetness of the peas and fresh ricotta. Finally! Basil Oil Extract and housemade Lemon Oil (you've still got some left, right?) finish off this delicious party of flavor-osity. One final blend, until the spread is as smooth as you'd like. 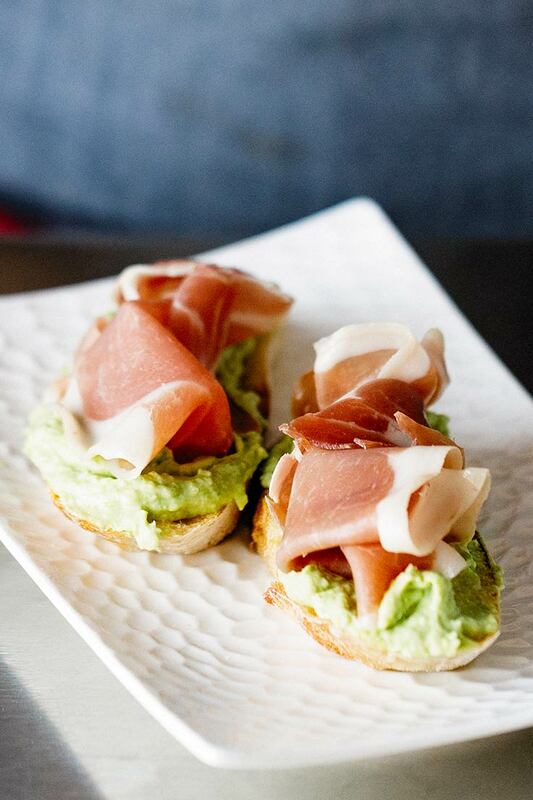 One of our favorite ways to enjoy Pea & Ricotta Spread is smeared over a baguette slice and topped with ribbons of salty prosciutto, yum! ½ tsp (2.3 g) Amoretti® Basil Oil Extract O.S. 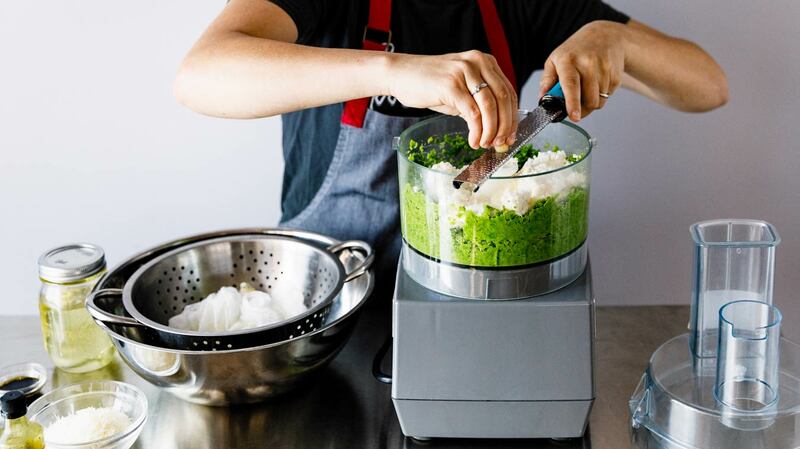 Combine thawed peas, ricotta, garlic, parmesan, lemon oil, and Basil Oil Extract in a food processor and blend until smooth. Serve immediately or refrigerate in an airtight container for up to 2 weeks.